Hacking with Swift is a complete Swift tutorial written for Swift 3 and iOS 10, taking you from beginner to advanced using hands-on projects. Here you can find the 39 Hacking with Swift projects plus the introduction to Swift -all available for free. The aim of this book is to teach you the skills necessary to build your own apps for iOS 9. Assuming you are ready to download the iOS 9 SDK and Xcode 7, have an Intel-based Mac and ideas for some apps to develop, you are ready to get started. This book provides a unique view inside the software running on iOS, the operating system that powers the Apple iPhone and iPad. Within, you will learn what makes up application code and how each component fits into the software ecosystem at large. The book is intended for readers with some existing experience of iOS development using Xcode and the Swift programming language. It provides an introduction to WatchKit apps and the WatchKit app development architecture before covering other topics. The goal of this book is to teach the skills necessary to create iOS applications using the iOS 8 SDK, Xcode 6 and the Swift programming language. Useful whether you are new to iOS development, or you need to get up to speed on the features of iOS 8. Beginning with the basics, this book provides an outline of the steps necessary to set up an iOS development environment. The aim of the author is to teach you the skills necessary to build your own iOS 7 apps for the iPhone, iPad and iPod Touch. Get a solid grounding in all the fundamentals of Cocoa Touch, and avoid problems during iPhone and iPad app development. This book covers iOS 6 in a rigorous fashion -- ideal whether you're approaching iOS for the first time or need a reference. iPhone iOS 6 Development Essentials teaches you the skills necessary to build your own applications for the iPhone. The book provides an overview of the architecture of iOS 6. Introductions to Xcode and programming in Objective-C are provided. The aim of iPhone iOS 5 Development Essentials is to teach you the skills necessary to build your own applications for the iPhone. Beginning with the basics, this book provides an overview of the iPhone hardware and the architecture of iOS 5. This book helps you build multitouch games that take full advantage of iOS, and shows you how to prepare your app for the App Store. Create your first game with just 20 lines of code, then learn how to add graphics, sound, and key game algorithms. This book explores the technical aspects of iPhone and iPad app design and development. It also focuses on the business, product, and marketing elements critical to selling your app. This practical reference shows you how to engage customers. Without doubt, by choosing to develop for the iPad you are tapping into a vast market of potential customers for your iPad app. It is our intention that this book provide the knowledge you need to start building that app. Beginning with the basics, this book provides an overview of the iPhone hardware and the architecture of iOS 4. An introduction to programming in Objective-C is provided followed by an in-depth look at the design of applications and user interfaces. 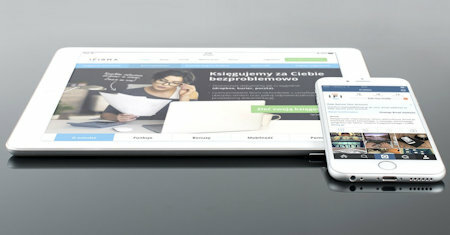 Do you have a great idea for a graphics-intensive iPhone or iPad application, but don't know how to bring it to life? This book offers the perfect solution: a crash course on the OpenGL graphics library with an overview of iPhone 3D development.